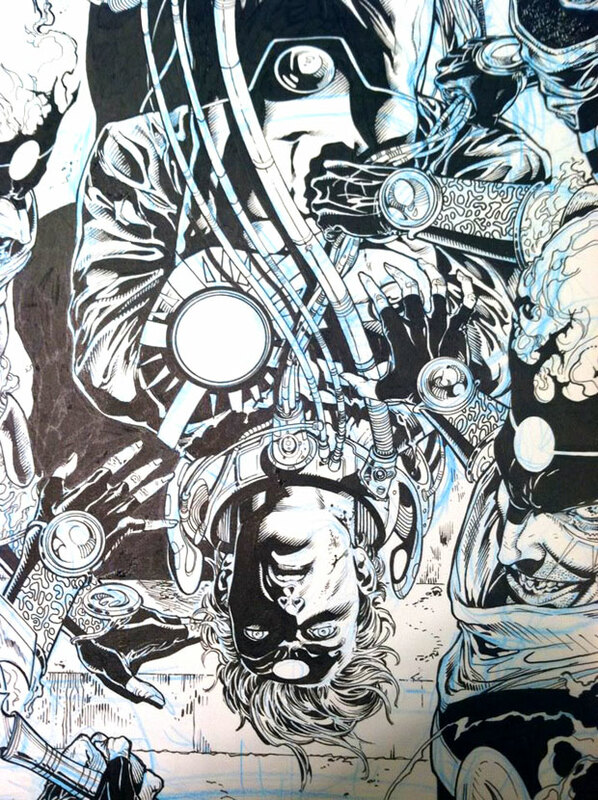 Over the weekend, Ethan Van Sciver posted to his Facebook this new Firestorm-related drawing. I’m guessing this is an upcoming cover, but can’t be sure. The only comment Ethan gave was, “On no, Ronnie.” Check it out below. Ronnie appears to be wearing his Firestorm costume, yet his head isn’t on fire and he doesn’t have the black eye liner. The Firestorm-ish guy tormenting Ronnie looks a lot like one of the Firestorms we got a sneak peek of in issue #1. I count three or four Firestorm-looking dudes tormenting Ronnie. From the parts we can see, each of them looks identical. Hmmm… nuclear powers… identical copies… Could this be The New 52 variation of Multiplex? Probably not, but that would rock! Posted in: Ethan Van Sciver, Firestorm #09: New 52 v1 (Firestorm Protocols), Firestorm comic vol. IV, Ronnie Raymond, Sketch/Art. At least they don’t have nucular powers. . .! More awesome art. More Firestorm goodness to look forward to.